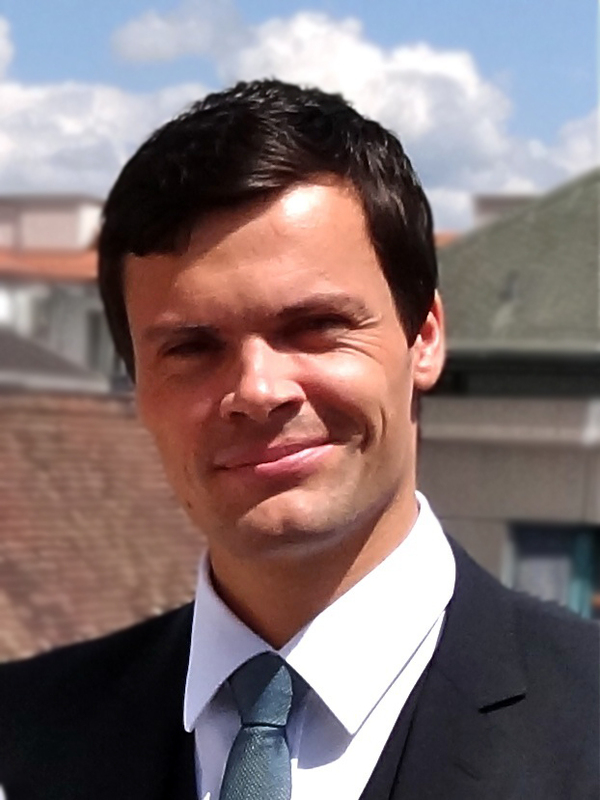 SCHLIEREN, SWITZERLAND--(Marketwired - November 03, 2016) - Dr. Olivier Frey of InSphero AG has received the 2016 IQ Consortium and AAALAC International Global 3Rs Award for Europe, recognizing his pioneering work to integrate advanced 3D microtissue models into microphysiological systems (MPS) for in vitro drug testing. The award was presented to Dr. Frey at the AAALAC International Luncheon, held Wednesday, November 2 in conjunction with the American Association for Laboratory Animal Science (AALAS) 67th National Meeting in Charlotte, North Carolina. The Global 3Rs Awards recognize significant innovative contributions toward the advancement of ethical science through the 3Rs of animal research: refinement, replacement, or reduction of animal use. The award selection committee acknowledged Frey's work to advance MPS technology by interconnecting 3D microtissues derived from human tissues such as liver, heart, endocrine pancreas, or tumor using microfluidic channels to mimic a so-called "Body on a Chip" or BoC. Such systems serve as complex in vitro models used to assess the efficacy or toxicity of a drug in a multi-organ, animal-free system. Frey headed the research, conducted at the ETH Zurich and in collaboration with partners including InSphero, as part of the European Commission EU Body on a Chip (BoC) Project. The award specifically referenced work published in July of 2015 in the Journal of Biotechnology entitled "3D spherical microtissues and microfluidic technology for multi-tissue experiments and analysis," one of several peer-reviewed publications resulting from the project since 2014. Dr. Frey, who recently joined InSphero to serve as Microphysiological Systems Product Manager, stated "It is a tremendous honor to receive the 3Rs Award on behalf of all of the scientists who have collaborated on the project since its inception four years ago. As an innovator in the field of 3D cell culture, InSphero was a strong commercial partner and helped keep our work focused on developing a scalable, flexible technology." Dr. Jan Lichtenberg, CEO and co-founder of InSphero commented, "We are delighted to have a proven leader in microphysiological systems such as Olivier join the InSphero team. His expertise and familiarity with our advanced 3D tissue models will help us accelerate commercialization of the technology, focusing on pharmaceutical and chemical industry applications that reduce both drug development costs and the need for animal testing." InSphero provides superior biological relevance to in vitro testing with its easy-to-use solutions for production, culture and assessment of organotypic 3D cell culture models. The company's patented technologies include the 3D Select™ Process (pending) and scaffold-free 3D cell culture plates that enable large-scale, reproducible production of a broad range of assay-ready 3D InSight™ Microtissues derived from liver, pancreas, tumor, heart, brain, and skin. These models and contract research services utilizing them help to identify promising drugs and toxic liabilities with greater predictive power at early development stages, enabling better pre-clinical decision making, saving development cost, and shortening time to market. InSphero technologies drive significant findings in peer-reviewed journals, through collaborative projects such as EU-ToxRisk and HeCaToS, and have gained validation in the world's largest government institutions and pharmaceutical, chemical and cosmetics companies. This 3D know-how is also being applied in the diagnostics field to aid development of personalized chemotherapeutic strategies for the treatment of cancer. Dr. Olivier Frey, recipient of the 2016 IQ Consortium and AAALAC International Global 3Rs Award for Europe. Frey currently serves as Microphysiological Systems Product Manager at Schlieren, Switzerland based InSphero AG.